Lateral Entry: Breaking the Shackles of Bureaucracy Or Installing Loyalists and Cronies? 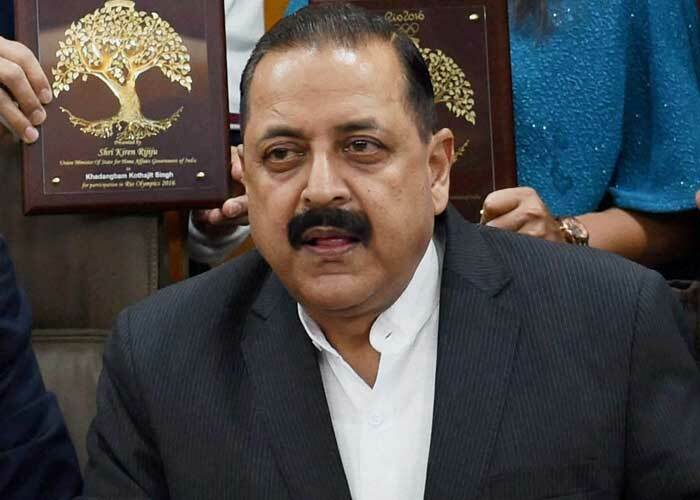 The BJP-led NDA government has opened the bureaucracy for private entry, as it issued advertisements inviting applications for the posts of Joint Secretary in 10 departments. Will the Modi government’s decision to institutionalise lateral entry into the top echelons of bureaucracy lay to rest complaints about the stranglehold of bureaucrats and red-tapism over all domains in the country? Or will it lead to the BJP-led NDA formally inducting — in the name of specialists — its long-time loyalists (from the RSS, for example) and select crony capitalist friends and funders into policy making and implementation at the top-most level? On 10 June, the Department of Personnel and Training (DoPT) issued advertisements across newspapers inviting applications for the posts of Joint Secretary in 10 departments — revenue, financial services, economic affairs, commerce, civil aviation, agriculture, road transport and highways, shipping, environment and forests, and new and renewable energy. The posts are open to “individuals working at comparable levels in Private Sector Companies, Consultancy Organisations, International/Multinational Organisations”, as well as to officials of the state governments, central or state public sector undertakings, and those working at comparable levels for autonomous bodies, universities and research institutes. They will be appointed for fixed-term contract of three years. The candidates need to be above the age of 40 years and have a minimum experience of 15 years in a particular field. This means that, for example, CEOs of private corporations can also be appointed to make policy in government departments. “The government of India has decided to invite talented and motivated Indian nationals willing to contribute towards nation-building to join the government at the level of Joint Secretary,” said the DoPT. It said the move was aimed at introducing “fresh ideas and new approaches” to governance. The post of Joint Secretary in various departments is usually filled by senior bureaucrats (except for some departments like atomic energy, etc. where technocrats are appointed) who began their careers after being selected through the competitive examinations of the Union Public Service Commission (UPSC). But it is not unprecedented for the government to make direct lateral appointments of domain experts in non-administrative positions to top government posts. Some examples of such lateral entry in the recent past are Raghuram Rajan, Arvind Subramanian, Montek Singh Ahluwalia, and even Manmohan Singh. Manmohan Singh in his first term as Prime Minister under the Congress-led UPA-I government had reportedly also wanted to formally introduce lateral entry into government, but it was not acted upon. most recently the proposal was mooted by the NITI Aayog in the Three Year Action Agenda for 2017-2020. In the mainstream media, while many welcomed the move of lateral entry on the grounds that it would bring in specialised knowledge, it was also reported that at least some bureaucrats are unhappy. According to the Business Standard, at least three central government officers’ associations have called for a meeting this week to discuss this move. Speaking to Newsclick, a former bureaucrat — a chief secretary level officer who did not want to be identified — said that while it was potentially a good move, it could be easily misused in “well-known ways”. “Theoretically, it could be a huge asset for government — to tap the skills, domain experience and talent of individuals from every sphere,” he said. This is especially likely under the current Narendra Modi-led government — given that the instances of individuals affiliated to the Rashtriya Swayamsevak Sangh (RSS) and the larger Sangh Parivar being appointed to head institutions, such as universities, abound. Most of such appointments have been made with no regard for the requisite skillset, qualifications and experience. If this practice is institutionalised at the senior bureaucratic level, it would have a direct impact on the nature (and ideological content and motives) of the policies and programmes of the government. Thus it would have an inescapable impact on the people of the country. On the other hand, the former bureaucrat said, the fact that individuals from private sector companies could also be made bureaucrats would open the doors for “cronyism”. He said while it would look good for the bureaucracy to become genuinely more “business-friendly” — never mind the fact that the government is already serving corporate interests as a priority rather than the interests of the public — there are high chances that the government would only be “friendly to cronies”. He said, “Considering these issues, it might be better to keep such appointments at an arm’s length from the government — through an independent agency like the UPSC. But then the government is diluting the UPSC, such as through an earlier proposal that service allocations be made to candidates not through their performance in the exams and interview, but on the basis of their performance in the three-month foundation course during the training period after their recruitment.” This judgement of the allocation of service will be made by the training academies, according to the proposal. Opening up the bureaucracy to corporates would only fasten the pace of privatisation of the country’s public assets and institutions, which appears to be the primary agenda of nearly all policy decisions of the Modi government. It would open up another — and an extremely powerful — avenue for appeasing private interests. The former bureaucrat also flagged another concern. “The post of joint secretary is not only a very senior post, but also a constitutional position, which cannot be influenced beyond a point by the government in power,” he said. For such a proposal to work in favour of Indians, who are the ones bearing the brunt of government policy, there must be a system of checks and balances in place. To reiterate, a well-functioning system of checks and balances must be instituted — and mechanisms of public accountability, which forms the basis of true autonomy, must be strengthened — if at all lateral entry into civil services is to be good for India.